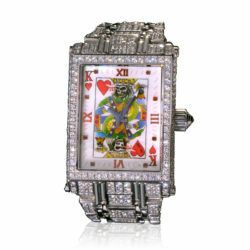 This Joker Poker watch is crafted in polished 316L stainless steel with 2 cts. of stunning black diamonds. 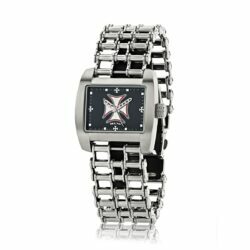 Its stainless bracelet is created to form fit around your wrist. 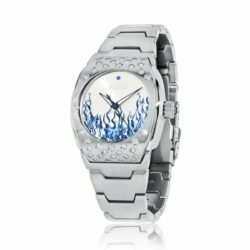 A three dimensional die struck dial is complemented with rich overlays of hand painted colors that define this magnificent piece of art. 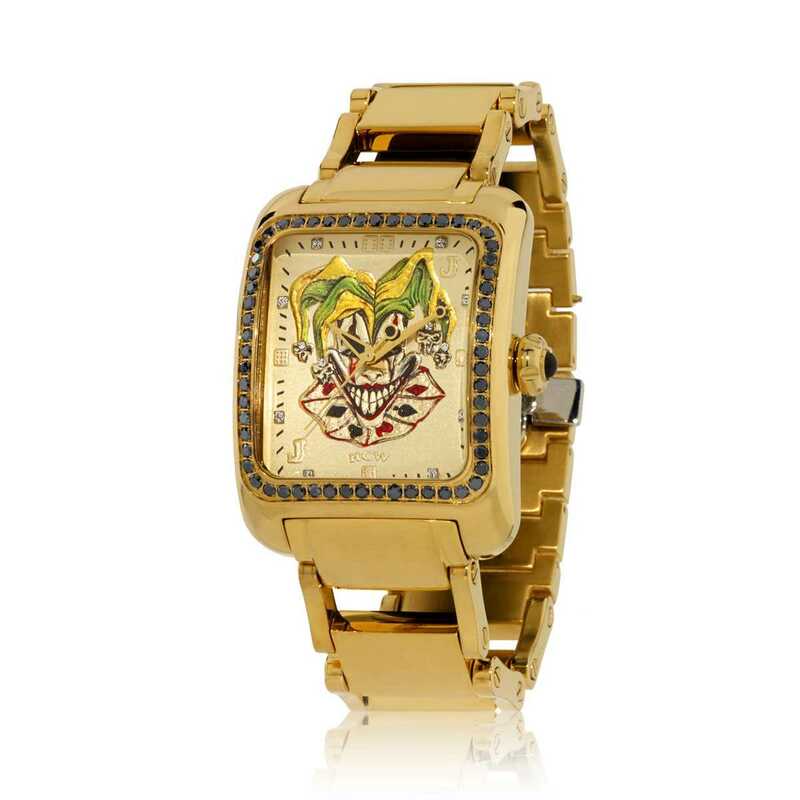 Authentic Swarovski Crystals and color coordinated hour and minute hands bring the Joker to life. 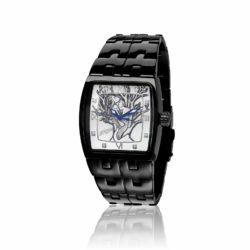 The Joker boasts an exhibition case back and houses a precision automatic movement.